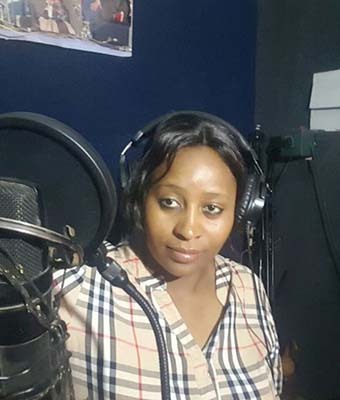 Upcoming gospel musician Lucia Zimunya, who is set to launch her debut album “Ndiri Mukundi” on February 18 at the Harare International Conference Centre, says her background inspired her to write songs.She is optimistic that the album will make a difference to those who share same background with her. “The name of the album says it all. My background has inspired me to share the grace of God with others. I am a living testimony,” she said. Her parents separated whilst she was young and she had to go and live with her father and sister, a decision, which did not make her life any easier. She was to lose her mother; years after her parents had separated. “It was not easy at all but sometime last year God spoke to me and inspired me to sing,” she said. The eight-track album has several worship songs that encourage people to be prayer warriors as God can solve their problems. “We have a live band to edify our music. After recording the songs I assembled a band that has been rehearsing,” she added. She said her music was not commercial but wanted to inspire those who share the same background with her. Minister Mahendere is expected to be part of the performers on the night. Meanwhile, another gospel musician Mathias Mhere has promised to unleash his new album, “Old Testament”, in style on March 4 at 7 Arts Theatre in Avondale. Mhere said they have done their ground work in coming with a good album. “My reunion with producer Laiton Ngolomi will definitely produce results. I have done my best on the album,” he said. Some of the songs to feature on the album are “Error”, “Dhindindi Full Time”, “Nhamo Yekuzvipa”, “Nyasha Ndini”, “Mazuva Matatu” and “ByeBye” and “Vana VaJesu” that features Mkululi Bebe. Ngolomi said it was good to work with Mhere again on the album that will feature great musicians. Bethen Pasinawako will be on the backing vocals while another renowned musician is tipped to feature on one of the songs. At the launch several gospel musicians that include Rev Chivaviro, Fungisai, Sebastian Magacha and Mechanic Manyeruke are expected to perform. “All the artistes have confirmed their participation at the launch. We are working to have a show that gives people value for their money as well as preaching the word,” he said.